These brass stanchions with gray belt are great for restaurants, banks, doctor's offices and hotels. Each stand is made of durable metal and features a round 13.5" diameter weighted base. 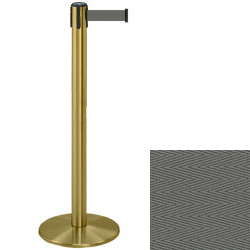 In addition, this type of brass stanchion includes a retractable belt that is made of durable nylon. 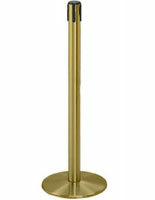 The fixtures for restaurants and airports is 38" tall and weighs only 24 lbs. 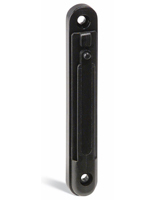 The stanchions' retractable belt is 7.5' long, 2" wide and features a 4-way adapter for connecting to other posts. 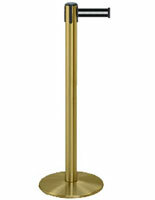 The weighted base stands are also available in other metal finishes and with other band colors.